Have I mentioned how I live for the weekends? The weekends is when I get to switch off the alarm and sleep in until the princess wakes me up. Have brunch, read the newspapers leisurely, go make-up free and let my hair down. The weekends is also when I try to squeeze every hour and minute to make it count by catching up on housework, attending social gatherings, scheduling my blog posts for the week, visiting with my parents and in laws and getting my supermarket retail therapy. But no matter how packed our schedules for the weekends may be, we always make it a point to take Sophie out. Last weekend, we brought Sophie to Bishan park to fly our new kite. Even though the weather was not as cooperative as we would like and our kite never flew for more than 5 minutes, she still had a ball of a time running in the wide open space and trying to help Alexis with his attempts of a successful take off. Hearing her laugh wholeheartedly as she ran while getting chased by me reminded me that how a day without laughter is a day wasted. Sure,we may not have things going our way every single day. But if we can find the positive in every situation and be a positive agent of change wherever we go, then our days will be so much more meaningful. So I’m making a mental note not to waste today complaining. Instead I’m going to spread positivity by adding joy and laughter into the lives of those around me. Do link up every Monday with my Motivational Mondays. It can be a post about goal that you have set for yourself, a change that you want to see or maybe even just a motivational poster to get you through the week. Don’t forget to grab my badge and include it in your post after you have linked up and leave me a comment too. I will be hosting Motivational Monday every week and I hope that you can join me every Monday. Have a great week ahead! Well she has days when she can be demanding too. But lets say we have to manage those expectations, else who knows what we have to come up with in future. Sophie looks really happy being in the park! I can’t sleep in in the weekends and have to be around the baby till he naps.. but nevertheless we will try to bring him out, even if it’s just the neighbourhood park. Wow! You are so productive to get so much done is the short space of one weekend – including planning/scheduling your blog posts for the week. Yes, having a child of my own opened up my world of happiness as I see thing through her eyes. I tank God everyday for my wonderful daughter and the lessons that she’s teaching me. Great quote, and what a cute picture! There is nothing better than the sound of children’s laughter. I would love to sleep in on the weekends, but our girls are always up by 6:45-7 am! Most early risers also sleep early. Do your kids sleep early? Sophie only sleeps at 10pm. Way too late for a 3 year old! Love the picture of Sophie..she’s a really happy child. I have always loved this quote. And yes, we also make it a point to bring Angel out every single weekend! =) This picture of Sophie is lovely! 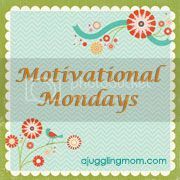 =) I’m linking up and hope mine fits because one thing it did was that it sure motivated me to live! =) See ya in sg soon, Susan! Lets organise play dates for our girls when you’re back. Wow! Your kite was up for 5 minutes! Ours has never managed a take-off. H blames the kite. No Day but Today! 🙂 Thanks for the reminder!